Washington, DC – Recently, our team of engineers has been working on new ways to analyze and make eXtensible Business Markup Language (XBRL) even more accessible and useful for the common investor. During these brainstorming sessions, it occurred to us that the standard has a rather limiting attribute that can be expanded to vastly improve XBRL’s accessibility. 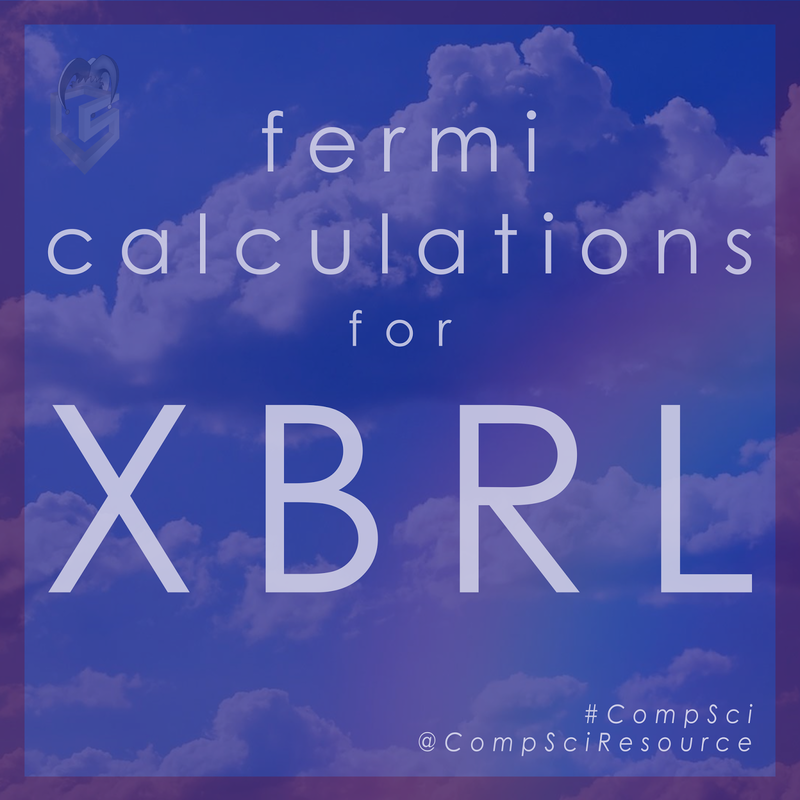 Currently, the XBRL standard itself permits precision to be specified in two ways: with significant figures, and with decimals. The U.S. Securities and Exchange Commission (SEC) requires the use of decimals since this is the most intuitive of the two, and the most commonplace in practice. To open the door to a more expansive interpretation of standard financial statements, a new way of specifying precision for XBRL Calculations is proposed here. This method is one that is likely to resonate with financial analysts, engineers, and accountants alike: Fermi. 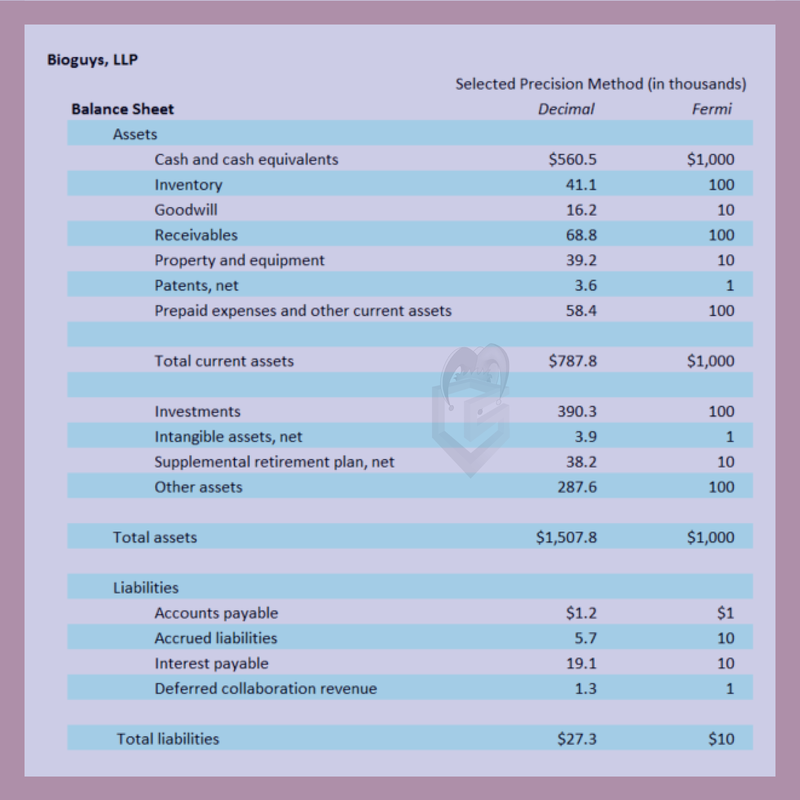 This approach would enable a more accurate representation of the precision required of XBRL itself. This would also allow financial analysts a much broader range of reporting precision from which they can draw a variety of new conclusions and recommendations. So while it might be more natural to see that everything in column A foots, we are pleased to highlight that everything in column B Fermis. There are some limitations to introducing this approach, though. For instance, we do not further recommend employing Fermi to approximate the existence of creative accountants, lest we introduce yet another paradox. What is your preferred approach to representing precision in XBRL? Would Fermi be a preferable option to decimal and significant figures? Anyway ... we hope that you enjoyed this publication in honor of this first of April, two thousand and fifteen. For further reading, here is our link to our blog from one year ago. Also, if you'd like to read a serious, very good publication on XBRL Calculations, read "A Calculated Risk", by CompSci's Shawn Rush. Have a great day! * Nathan Summers serves on the XBRL Standards Working Group and is a CompSci software engineer. He also authored a popular article explaining XBRL Negation and is a co-author of patented XBRL technology.